Though organized in the early Eighties, California's Axehammer has had a spotty recording history. There first full-length album, Windrider, only arrived in 2005. Seven years later, they deliver Marching On, perhaps a title that reflects their perseverance. Axehammer delivers basically no frills, straight up, American heavy and power metal. They've got a new lead singer in Kleber Mandrake, who sounds like a stranger mixture of Geddy Lee and young Halford. He can sing, scream, and hit those high notes with ease. However, sometimes his sustained higher notes can sound like a vibrato warble. The music is mostly speedy power metal with a rugged galloping rhythm section and lots of spicy traditional guitar solos. The lyrical themes are typical of the genre: sword and sorcery fantasy stuff. Overall, Marching On is solid and entertaining traditional metal with The Dragons Fly, Swing the Steel, and Demon Killer some of the choice cuts here. Cemetery, the longest track, gets bogged down in that very length and it's likely the weakest link here. Nevertheless, for American 'true' metal, Axehammer's Marching On is good stuff. Recommended. 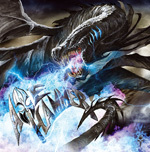 For American 'true' metal, Axehammer's Marching On delivers the classic heavy and power metal goods.